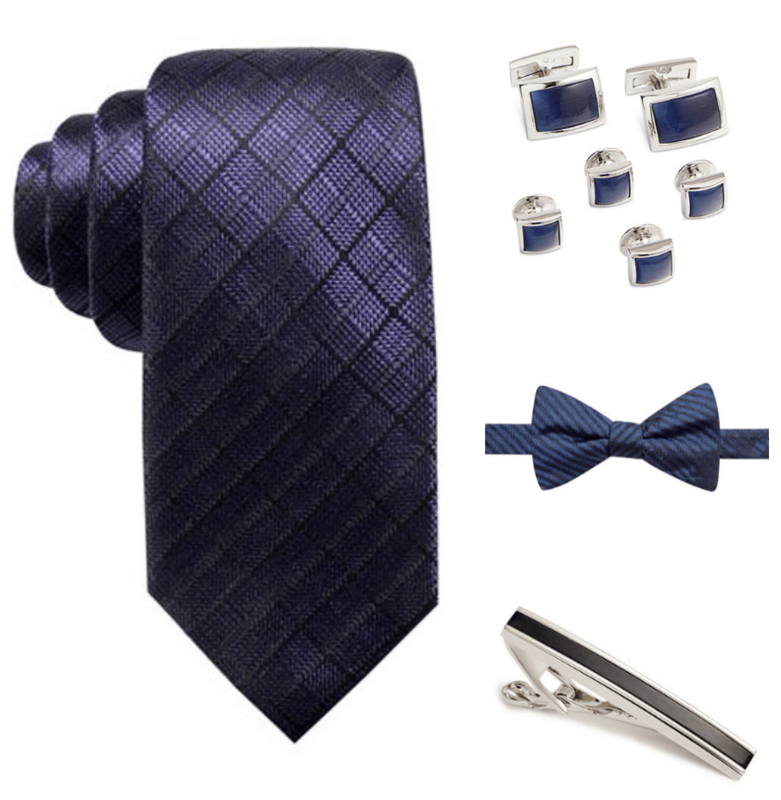 Here is a great selection of fashion and fashion accessory gift ideas for men. The Wood Paper Company Bomber Jacket is lightweight with classic styling. 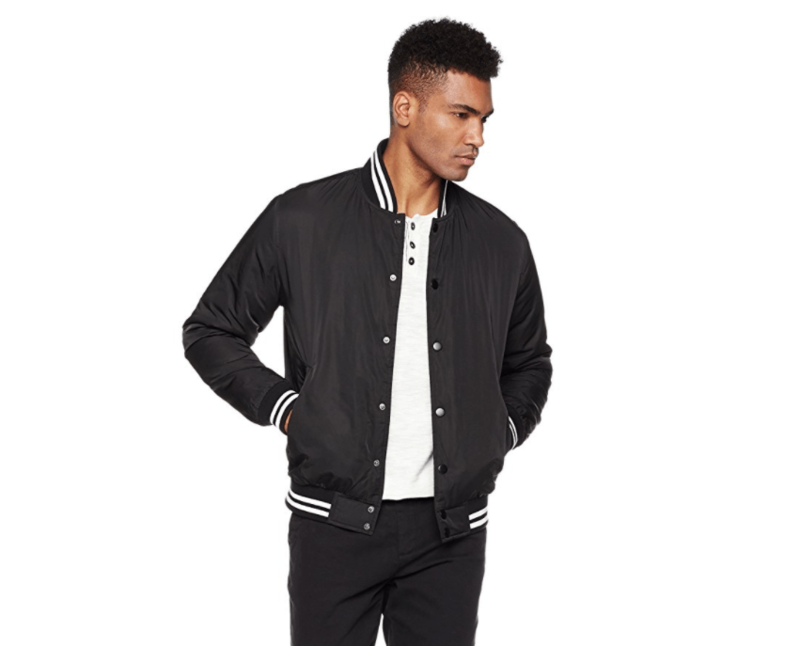 This casual bomber features logo snap-button closure and striped ribbing on collar, cuffs, and hem. 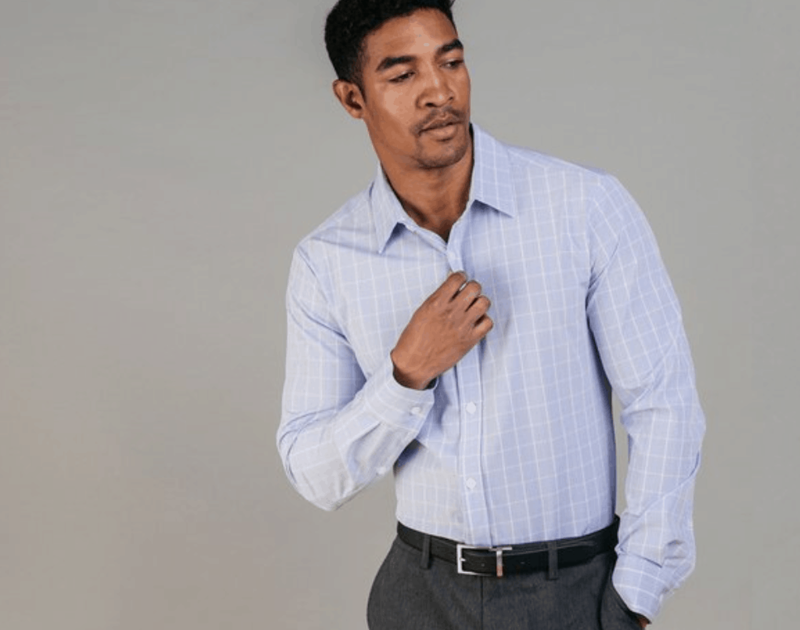 Mizzen+Main shirts are made out of performance fabrics allowing them to breathe, stretch and wick away moisture. 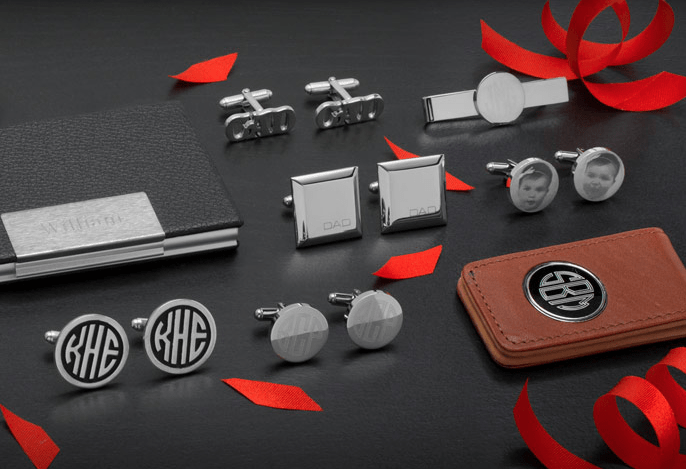 These are the most comfortable dress shirts in the world. 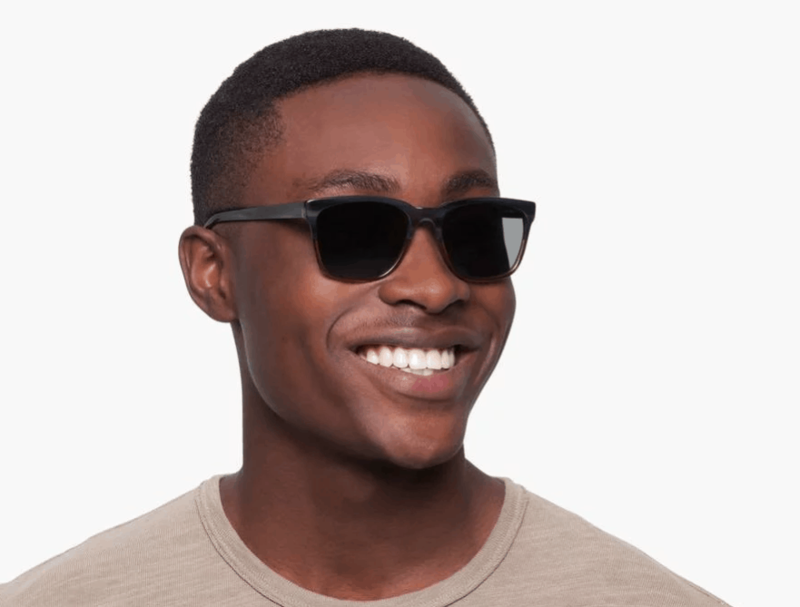 Warby Parker sunglasses are modern, stylish, and crafted from the best materials (Starting at $95). 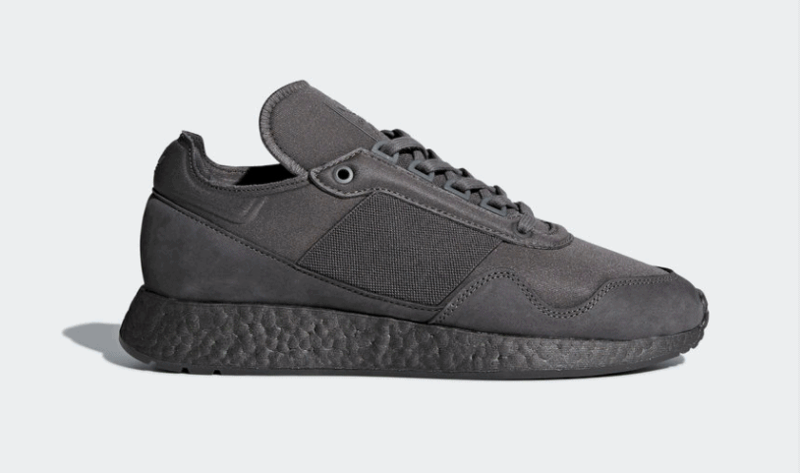 A collaboration between adidas Originals and artist Daniel Arsham, the adidas New York Present Arsham shoes merge the world of creative art with sneaker culture. Made with a leather-lined neoprene upper, the shoes pop with metallic details. Boost cushioning offers a feeling of lightweight responsiveness with every step. 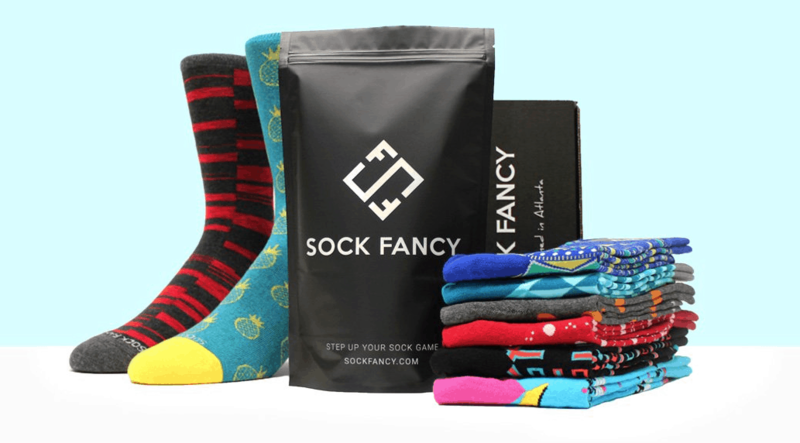 A Sock Fancy subscription features a huge selection of unique, awe-inspiring, and sometimes bizarre socks. 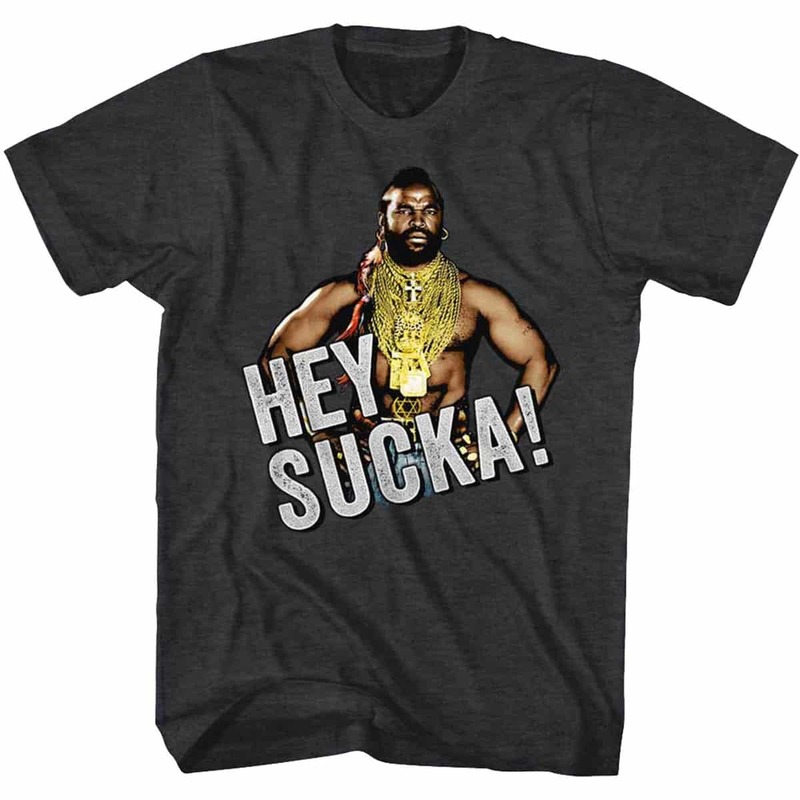 These soft cotton blends ensure a more comfortable fit and a sock that won’t shrink after only a few washes (Starting at $11/mo). 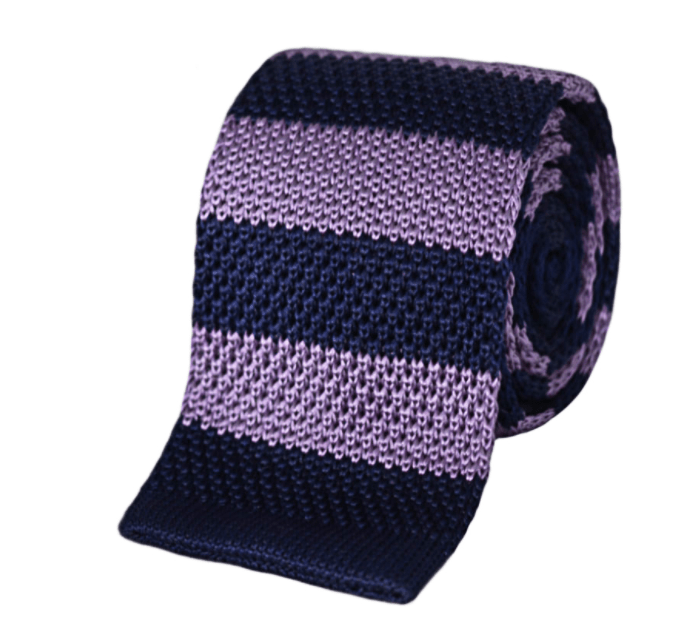 This classic BlackLapel Striped Silk Knit Tie will add some variety to your wardrobe and breathe new life into your tried and true navy suit outfit ($59). 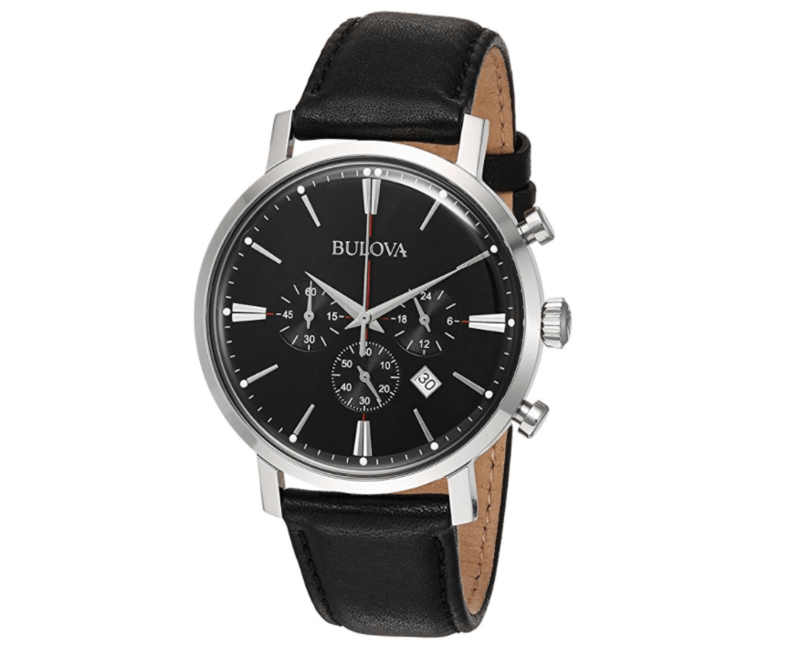 From the Classic Collection, this six-hand Bulova watch features chronograph function in a stainless steel case, black dial with red accents, double-domed mineral glass, smooth grain black leather strap with three-piece buckle closure, and water resistance to 30 meters ($350). These Allen Edmonds Randolph Penny Loafers are the perfect traveling companion. 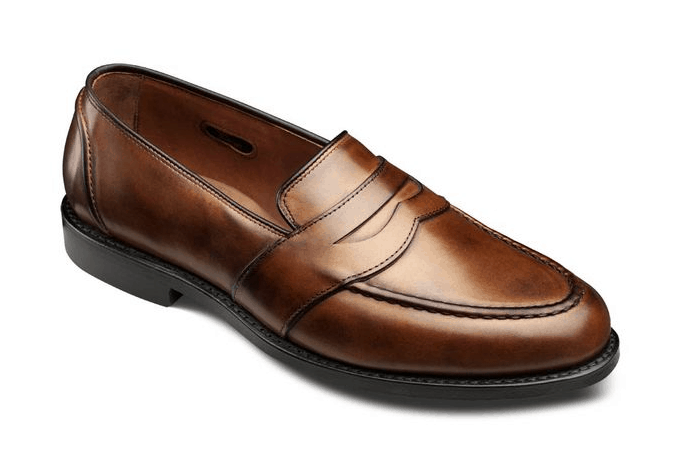 Not only will the slip-on loafer design help you get through airport security with minimal hassle, but the versatility inherent in the extended profile, single oak sole and raised stitching on the moccasin toe, means that this one shoe can cover all the events – work and play ($395). 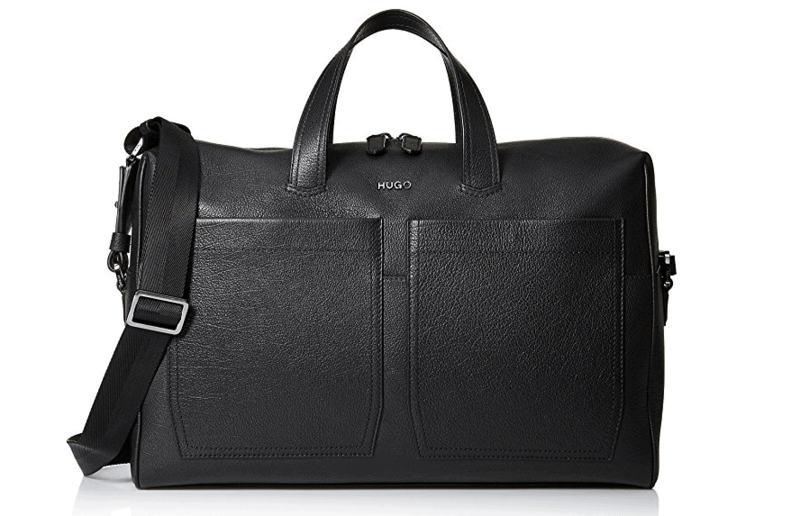 The luxurious Hugo Boss Weekender Bag is made of 100% leather and features a double way zip closure. 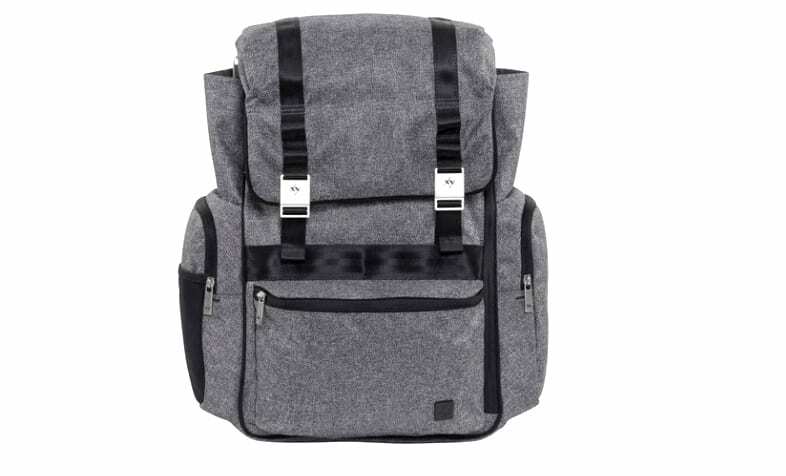 It’s great for short trips and weekend get-a-ways ($650). 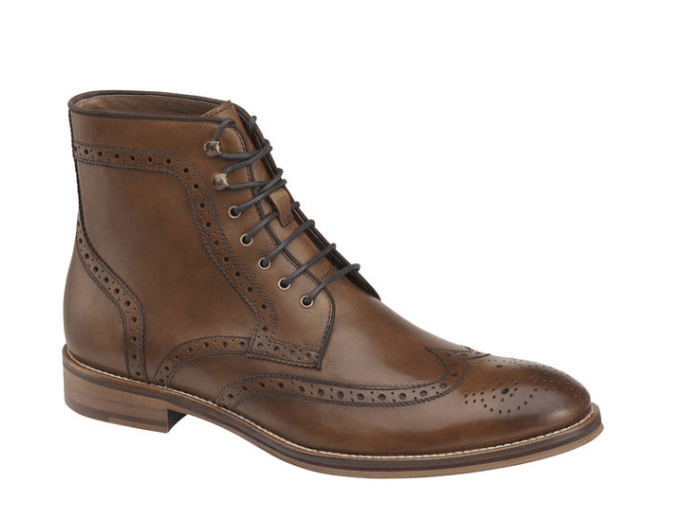 The Johnston & Murphy Conard Wingtip Boot is a modern interpretation of classic footwear, updated with colorful detailing and bolder brogueing. These boots are made of hand-burnished Italian calfskin and have a leather lining, cushioned insole, and rubber sole and heel ($179).